Choosing the flowers is one of the most fun parts of planning a wedding. There are so many gorgeous colors and varieties that the hardest part can be narrowing it down to your favorites. Get inspired by these wedding planning ideas for spring wedding bouquets in every color. 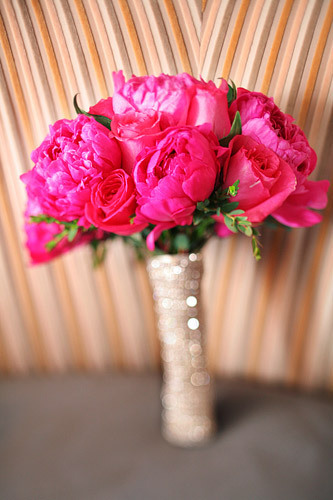 The most feminine of all colors, pink is a lovely choice for a spring bouquet. Lush pink peonies are a favorite flower of late spring brides. They combine wonderfully with fresh garden roses to make gorgeous bouquets. Ruffly pink sweet peas are a special blossom to include in a vintage inspired wedding, while vivid Stargazer lilies are great for a big showy arrangement. A simple hand-tied bouquet of tulips in shades ranging from ballet to rose to deep pink is a lovely classic style for a spring bride. Other pink choices include anemones, ranunculus, and delicate lily-of-the-valley. As cheerful and fresh as a sunny spring afternoon, there is something about yellow that is just perfect for a spring wedding. Many of the best loved spring blossoms come in wonderful lemon or sunshine shades, including tulips, daffodils, and hyacinths. 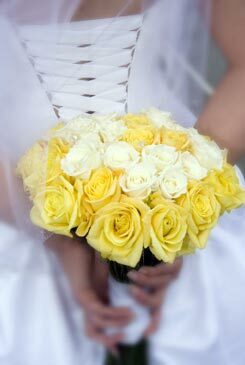 Papery ranunculus are also available in yellow, as are creamy garden roses. One of my favorite spring wedding planning ideas is to combine cheerful yellow blossoms with blue flowers in the bouquets for the bridesmaids. More rare than other flower colors, blue is a highly sought after hue for floral arrangements. Spring is a bit early for blue hydrangeas, but you can get anemones, delphiniums, and hyacinths in shades of blue. Small muscari (also known as grape hyacinth) are one of the most intense naturally blue flowers available, and they work very well in mixed arrangements. 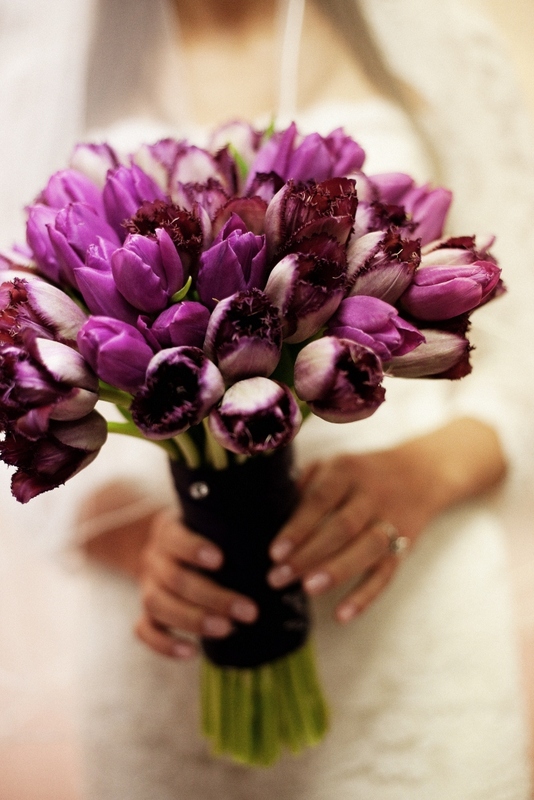 Purple has become a very popular color for weddings in recent years. Purple flowers can range from pale lilac to deep aubergine, and everything in between. Some lovely spring blossoms are available in shades of purple, including sweet peas, hyacinths, and tulips. Fragrant lilacs grow in the most marvelous shades of purple, of course, but the season for them is limited and they are quick to wilt out of water so they require care. Wedding flowers with year round availability such as roses and lisianthus also can be ordered in soft purple shades to create mixed texture arrangements. Consider combining very romantic flowers like sweet peas, roses, and French tulips in a range of pinks and purples for a stunningly beautiful bridal bouquet. Of course many brides like the classic all white bouquet, and you can create a delightful springtime arrangement using white blossoms. The most classic of all blossoms is white lily-of-the-valley, which are available in May. Tie a small posy with a wide sage green satin ribbon for a heavenly little bouquet to carry with a lace gown. Other springtime favorites such as peonies, ranunculus, sweet peas, hyacinths, and tulips are also readily available in white. If you wish to have a very dramatic bouquet, white Casablanca lilies will do nicely. 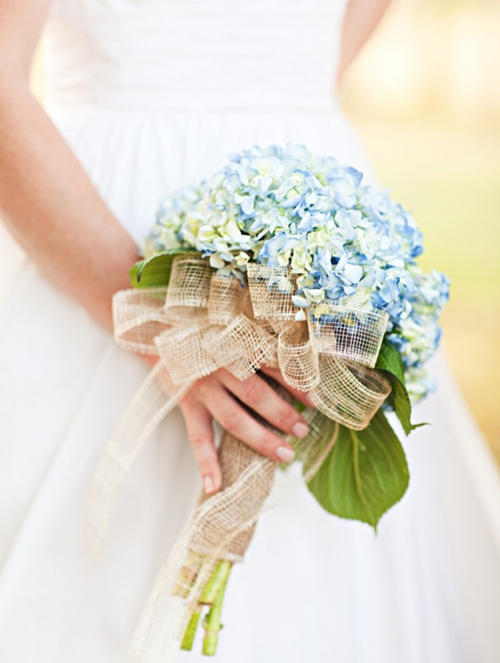 Whatever color you prefer for your wedding flowers, indulge in an abundance of fresh blossoms. There is nothing quite like a garden in bloom to say that spring has arrived, and it is fantastic to capture the essence of the season with your wedding decorations.